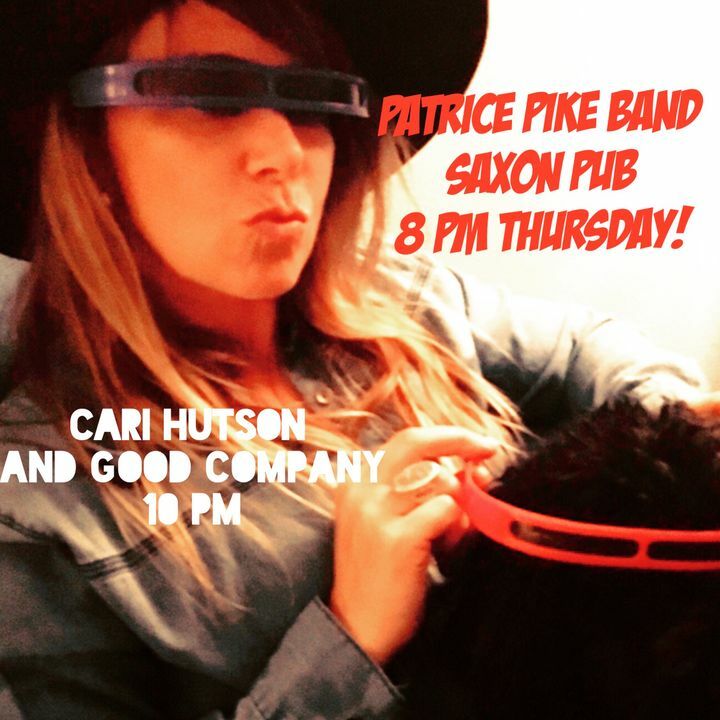 Come out to Saxon Pub for a double header tonight Patrice Pike Band and Cari hutson and a Good Company! Great show. Patrice and Wayne have never sounded better. One of the best Patrice Pike shows we've seen. Just a great vibe in the room and a great show. Everyone should see Patrice at Saxon Pub at least once.